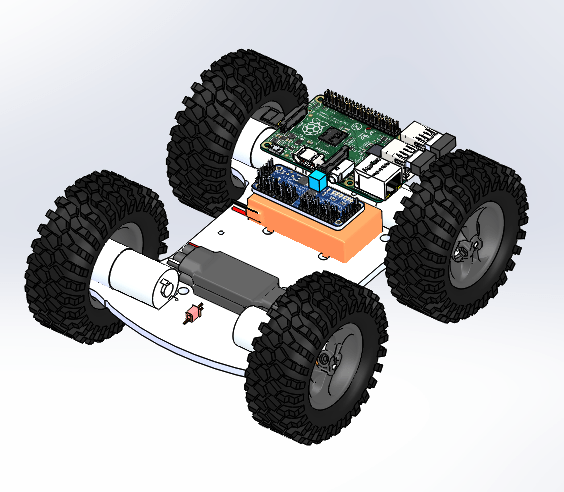 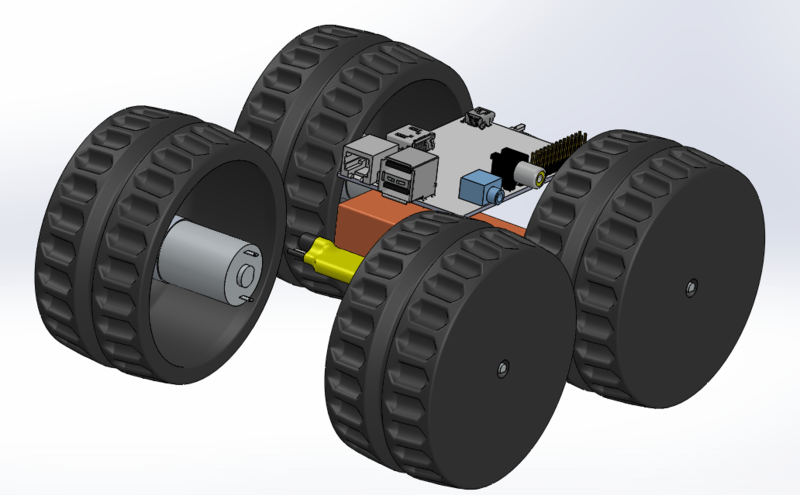 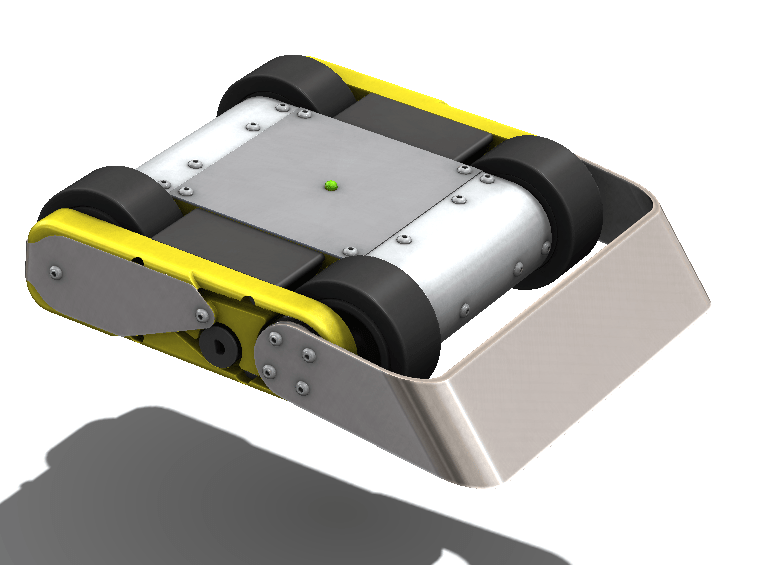 On the previous drivetrain blog post we’d found that cordless drill motors were excessively large and powerful for a piwars robot. 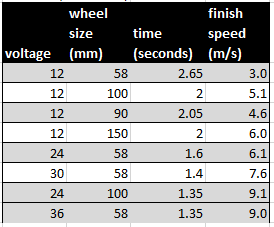 We continued the drivetrain search, this time looking for smaller motors that could work in a one-per-wheel (four motors total) configuration. 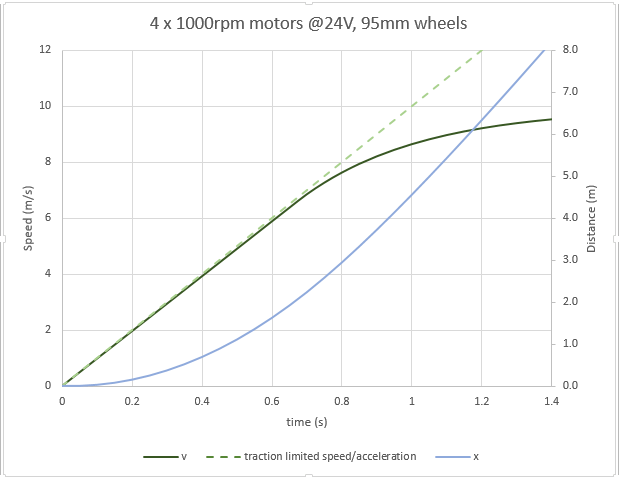 From last time we know that we want a total power output of around 120watts, or 30watts per motor. 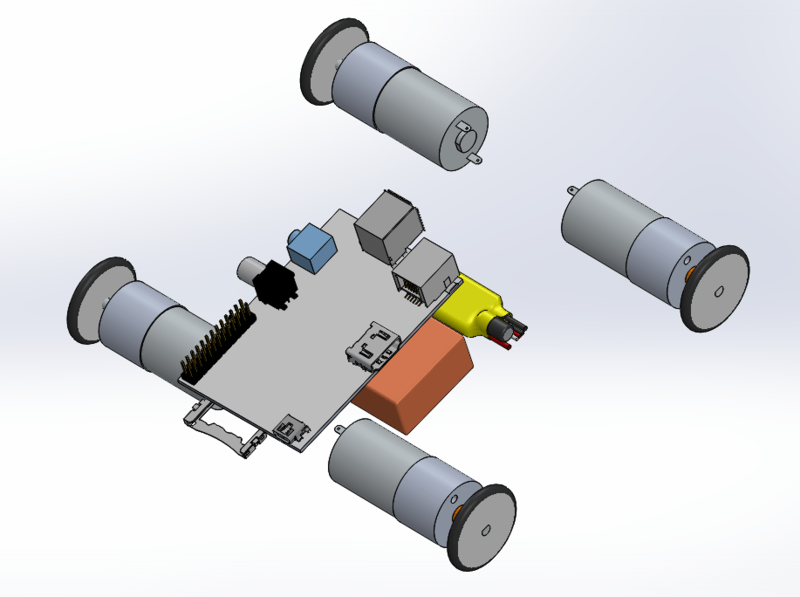 At this point we were hoping that we could use the small ‘1000rpm’ gearmotors we’ve used on small combat robots before. 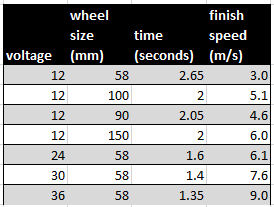 So we can get a good improvement there but its still not quite as fast as we’d hoped for (1.2s). 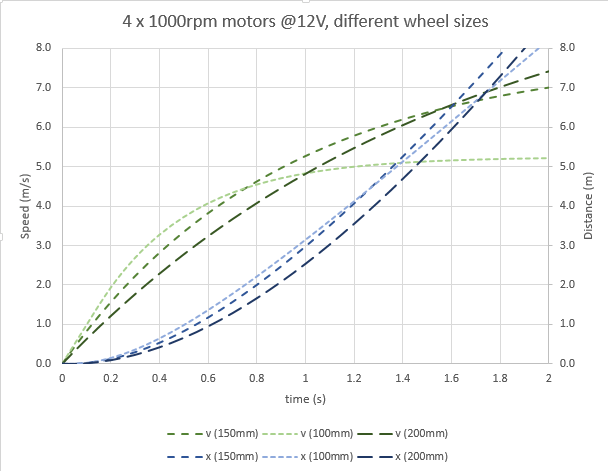 As expected, changing the voltage also worked but running the motors at 36V is a long way from their rated voltage.